"Many Christians read the Quran (or, at least select quotes from the Quran) with abhorrence. 'The God of the Quran is bloodthirsty and cruel!' they exclaim. But many non-Christians read the Bible with the same abhorrence, coming to the same conclusions about the God of the Bible, especially the God of the Old Testament. Is there any justification to their conclusions? And how is it that Christians can read the same book and see it so differently? "Says Michael Brown in Charisma Magazine. - God destroying the entire world, save just eight people, with a flood. - God testing Abraham by telling him to offer his son Isaac as a sacrifice. - God giving the Israelites a law that said they could purchase slaves from other nations. - God giving the Israelites a law that said a man who raped a woman was required to marry her and never divorce her. - Moses telling the Israelites they should kill every man, woman and child among the Canaanites. - Moses giving the Israelite men permission on one occasion to spare all the virgin women for themselves but to kill everyone else. - The psalmist saying that those who smash Babylon's babies on the rocks would be truly happy. In the New Testament, critics would object to the frequent talk about the judgment of hell fire along with the concept that Jesus is the only way to God, among other issues. How, then, can Christians so highly prize a book like this? How can they find it to be the epitome of love, compassion, kindness, justice, liberation and truth? It's because they understand God through the cross, meaning, they understand that: 1) we all sin and deserve God's judgment; 2) rather than condemning us for our sins, God condemned His own Son to die in our place; 3) God now forgives us and accepts us into His family as we put our trust in Jesus. This, to believers, is the most incredible, even mind-boggling expression of divine love. And since we know how good and loving our heavenly Father is, we read the entire Bible in that light. Not only so, but we find passages throughout the Bible that are of the loftiest, most uplifting, ethical quality. We find the Ten Commandments to be wonderful standards for life. We find the words of the prophets to be the most powerful words of justice ever spoken. We find psalms like Psalm 23 or 103 to be deeply spiritual and radiant with God's goodness, grace and love. We find books like Job to be extraordinarily brilliant compositions dealing with the difficult issue of the problem of suffering. We find perennial, up-to-date wisdom in Proverbs and great existential wrestling in Ecclesiastes and beautiful love poems in the Song of Solomon. And we find the moral lessons of the Old Testament to be quite clear, profound and relevant. As for the New Testament, we find nothing higher in the world of literature than the Sermon on the Mount or the parables of Jesus or Paul's description of love in 1 Corinthians 13. And rather than seeing an emphasis on hell, we see an emphasis on God's extraordinary measures to rescue us from a hell we so richly deserve. It is against that light that we read the Bible, understanding that, when it comes to slavery, it is the Bible that has led to the end of slavery in much of the Western world. And when it comes to the status of women, Christianity throughout history has liberated women spiritually and socially. "The Lord, the Lord God, merciful and gracious, slow to anger, and abounding in goodness and truth, keeping mercy for thousands, forgiving iniquity and transgression and sin, but who will by no means clear the guilty, visiting the iniquity of fathers on the children and on the children's children, to the third and the fourth generation" (Ex. 34:6-7). These words of Micah, also from the Old Testament, resonate with us and color our view of God: "Who is a God like You, bearing iniquity and passing over transgression for the remnant of His inheritance? He does not remain angry forever, because He delights in benevolence" (Mic. 7:18). That is who He is. It was Micah who also said, "He has told you, O man, what is good—and what does the Lord require of you, but to do justice and to love kindness, and to walk humbly with your God?" (Mic. 6:8). And we are often reminded of these words of Jesus, later echoed by Paul and Peter: ""You have heard that it was said, 'You shall love your neighbor and hate your enemy.' But I say to you, love your enemies, bless those who curse you, do good to those who hate you, and pray for those who spitefully use you and persecute you, that you may be sons of your Father who is in heaven. For He makes His sun rise on the evil and on the good and sends rain on the just and on the unjust" (Matt. 5:43-45; for Paul's words, see Romans 12:14-21; for Peter's, see 1 Pet. 2:21-25). 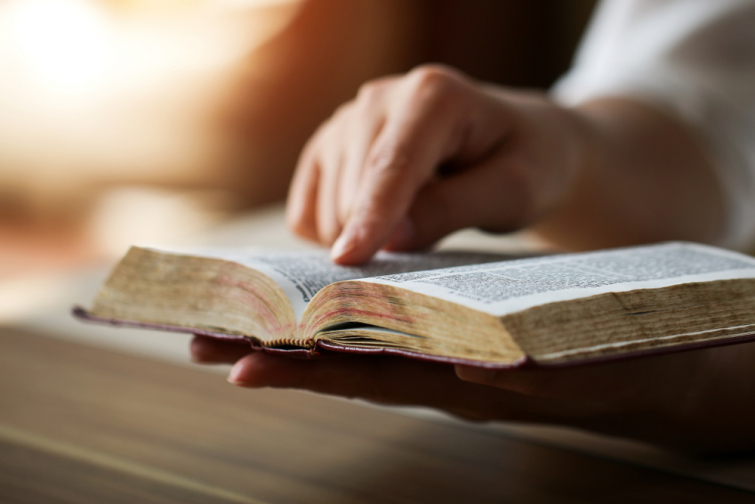 To be sure, many scholars have addressed what are often called the "difficult passages" in the Bible, and they can help to answer many of your most pressing questions, including some I have raised in this very article (for examples, see here, here and here). But if you've never read the Bible for yourself, on your own and without outside pressure, I'd strongly encourage you to do so. You'll discover a God who combines perfect holiness with perfect love. You'll discover a God who is fully revealed in Jesus. It might just change your life. Forever."